Shanghai-Volkswagen, the joint venture between VW and SAIC Motor Corporation, has built its 10 millionth vehicle, a Tiguan. Ironically, the model is one of several called back in the automaker's biggest ever recall, announced last week. A Santana was the first Chinese made VWm built in April 1983 and over 4.2m have been made since. Shanghai-VW established its own development department in 1990 and commissioned a test facility in 1997 and its own design centre in 2003. Skoda assembly started in 2006. 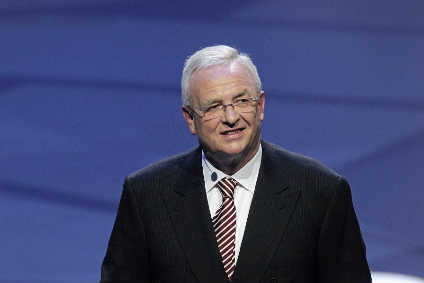 The VW group and its joint ventures – Shanghai-VW and FAW-VW – have more than 75,000 employees in China. Shanghai-VW currently operates vehicle plants in Anting, Nanjing, Ningbo and Yizheng, Jiangsu province. Production at a new plant in Urumqi, Xinjiang region, commenced a few month ago and a further plant in Changsha, south central China, is scheduled for completion in 2015. China is now the group's largest sales market with 2.81m vehicles sold in 2012, up 18% year on year.